This month, we are hosting a live AMA -- ask me anything -- with two rockstars who happen to be living with a disability. Attendees will have the opportunity to ask questions anonymously (if you would like to submit a question in advance, you can do so here). Ask anything you want! People of all abilities and from all communities are invited. Note that space is limited to about 20 attendees. Cost: Pay what you can (suggested $10) goes to help cover food, drink, and other event expenses. Xian Horn serves as teacher, speaker, mentor, blogger and Exemplar for the AT&T NYU Connect Ability Challenge for the creation of Assistive Technology. Xian's Give Beauty Wings’ Self-Esteem programs originated and continue at NYU's Initiative for Women with Disabilities, the Jewish Community Center Manhattan, and M.S. 131 in Chinatown. The programs have also been presented by Xian at the the Standing Tall school (a school for non-verbal children), and her alma mater New York City Lab School, where she was also commencement speaker in 2014. Xian also ran vocational workshops for the NYC Mayor's Office for People with Disabilities. She has been featured in Fast Company, The White House Blog, NPR, and NBC News, Fox 5 and NY1 among others. Lastly, but just as important, she is a blogger for Positively Positive - a community of over 3 million readers. 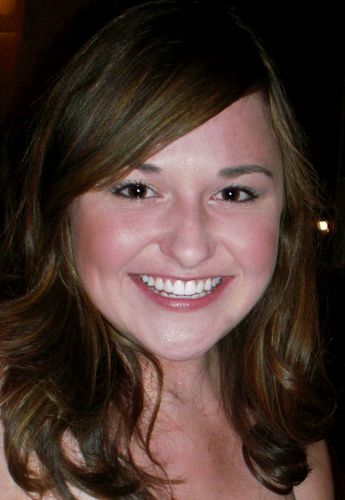 Alexandra (Alex) McArthur is a Senior Associate Consultant with the Taproot Foundation’s Advisory Services Team. In this role she helps corporations to develop and implement high-quality pro-bono programs to meet pressing community needs. Previously, she served as in External Affairs with LRN, a firm seeking to promote ethics and values in business through changes in corporate culture. She is the founder of the Women’s Leadership Conference at Davidson College (her alma mater), taught leadership as the Davidson College Fellow for Leadership Development, promoted national workplace inclusion as Ms. Wheelchair America 2011, is a 2012 Coro Fellow in Public Affairs and 2012 Starting Bloc Fellow for Social Innovation, and serves as Vice-Chair of the board directors of the National Disability Institute and co-chair of the Junior Board for IncludeNYC. In 2014, she was chosen as a White House Champion of Change for disability and employment. In Good Company: A community, learning center and coworking space for women entrepreneurs.